On June 21 Berlin welcomes the summer with the Fête de la Musique. This beautiful tradition has been cultivated in the capital for more than 20 years, in the motherland France even for 36 years. In all districts of Berlin in more than 100 locations and with hundreds of musicians we celebrate music and its creative power, which connects people, overcomes boundaries, strengthens cohesion and just makes fun. This is how Dr. dr. Klaus Lederer, Senator for Culture and Europe, the Fête de la Musique at the Theater an der Parkaue the evening before, June 20 (https://goo.gl/JMDkPf). The location for this prelude is not chosen for no reason, because for the first time Lichtenberg enjoys a district of special attention. 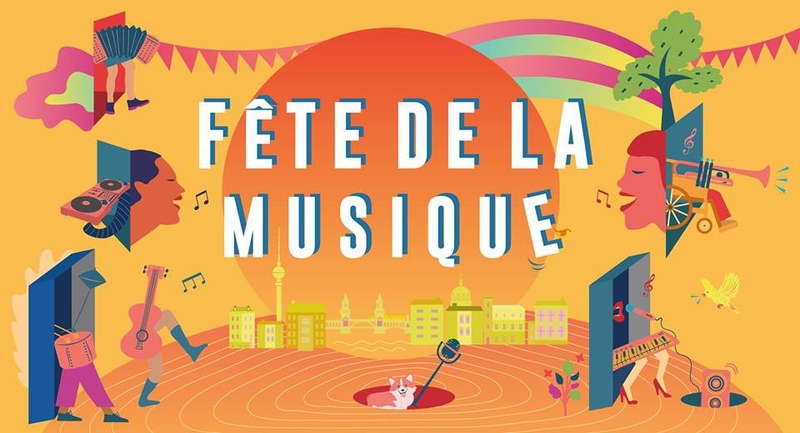 The Fête de la Musique takes place from 4 pm to 10 pm and mainly outside. Then it continues with the Fête de la Nuit in indoor clubs, cafes, bars and pubs. We look forward to seeing you and say a thousand thanks to all who join in! The Fête de la Musique is an event of the state of Berlin and is performed by Musicboard Berlin GmbH.